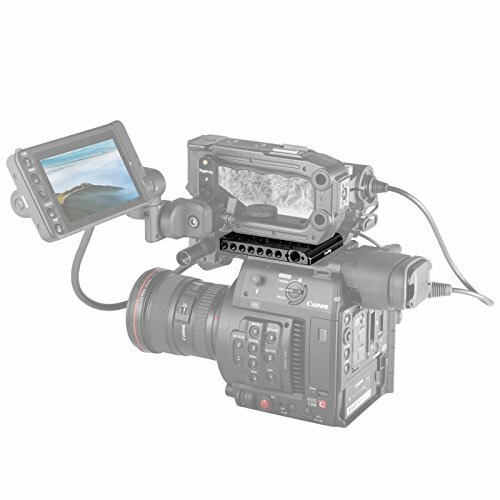 The top plate is exclusively designed for Canon C200 camera. 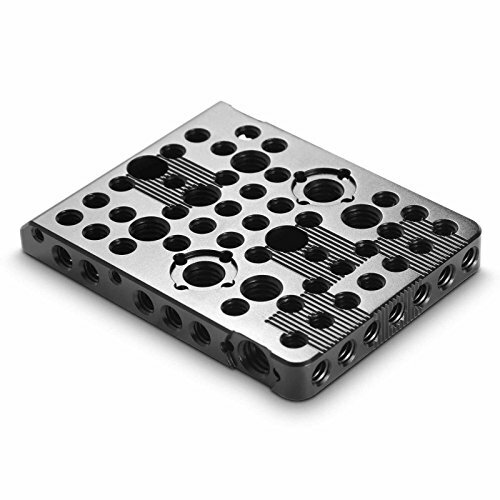 The arrays of the built-in 1/4”& 3/8” threaded holes and rosettes for Arri provide different configuration possibilities, which enables users to enjoy various filming scenarios and DIY mounting options. 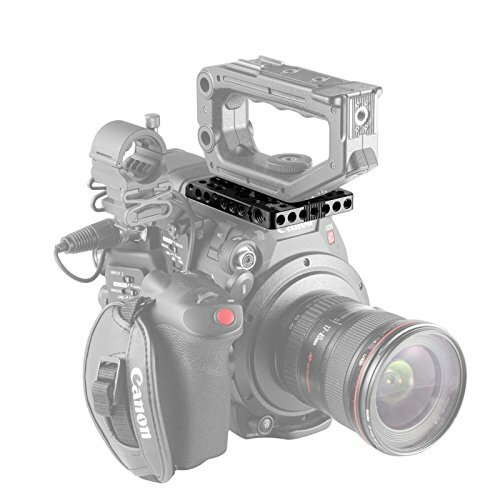 SmallRig top plate 2056 is designed exclusively for Canon C200. 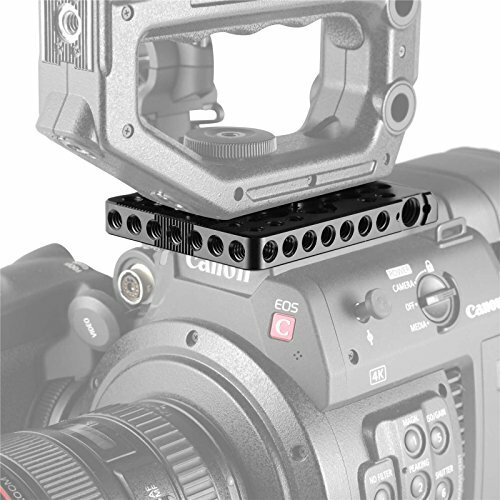 A few sets of gear racks on the top and the front of the plate are to avoid deflection when users mount the plate to EVF mounts (SmallRig 2064). 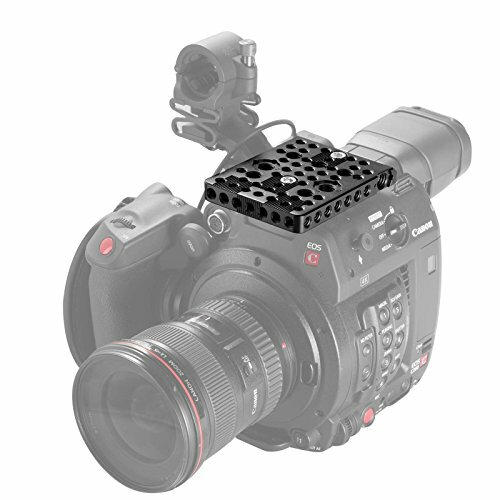 The top plate has two 1/4” holes with 46mm spacing to match Canon C200 original top handles. The two M4 threaded holes with 26mm spacing fit perfectly for attaching Canon C200 original microphones. 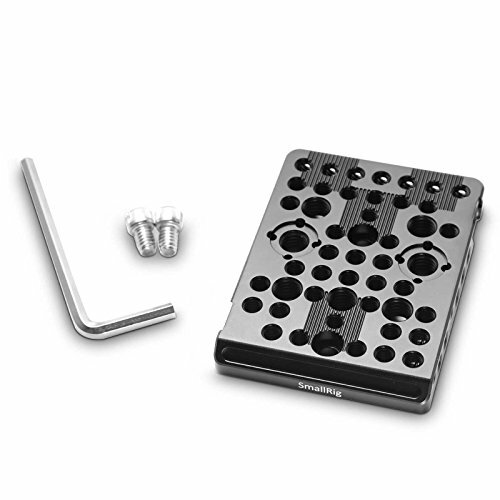 The built-in locating holes for Arri are available for attaching the accessories with locating pins for Arri (SmallRig 1978). 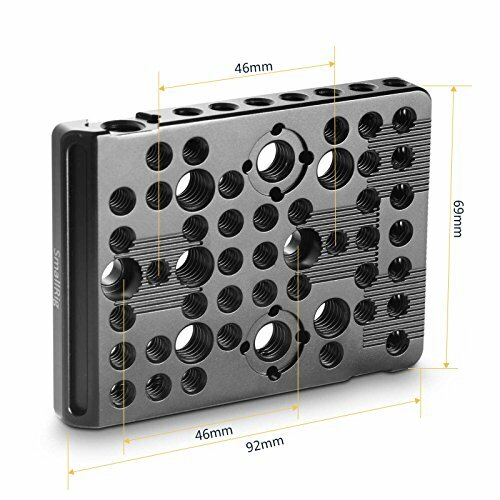 The top plate offers the arrays of 1/4″ and 3/8″ threads which allows multiple mounting options around the camera, for example, the universal handle (SmallRig 1984), NATO handle (SmallRig 1955, 2027), EVF mount bracket (SmallRig 2064), magic arms and more.